I think I may have mentioned my deep and undying love for chocolate before….during one of my many chocolate giveaways on here, Facebook, twitter and Instagram or maybe when I was visiting Exeter Vegan Market or was it when I was reviewing heavenly chocolate cake or off-the-shelf dreamy chocolate desserts! 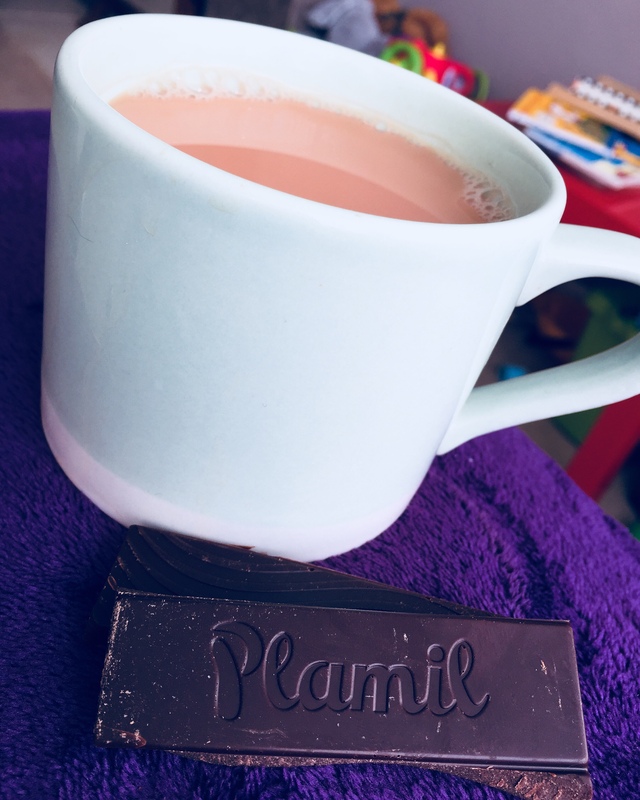 So you get the picture, I like chocolate and I’m soooooo pleased to be doing another vegan chocolate giveaway now * so THREE of you get to try Plamil’s new range of So free vegan chocolate. 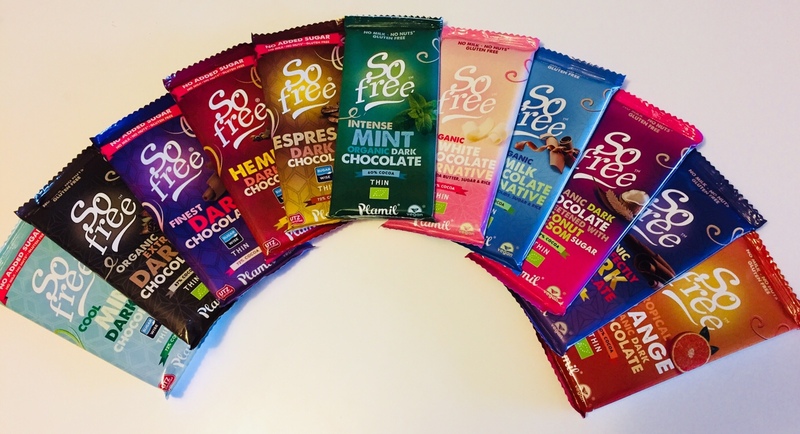 Read on for your chance to win some vegan chocolate! 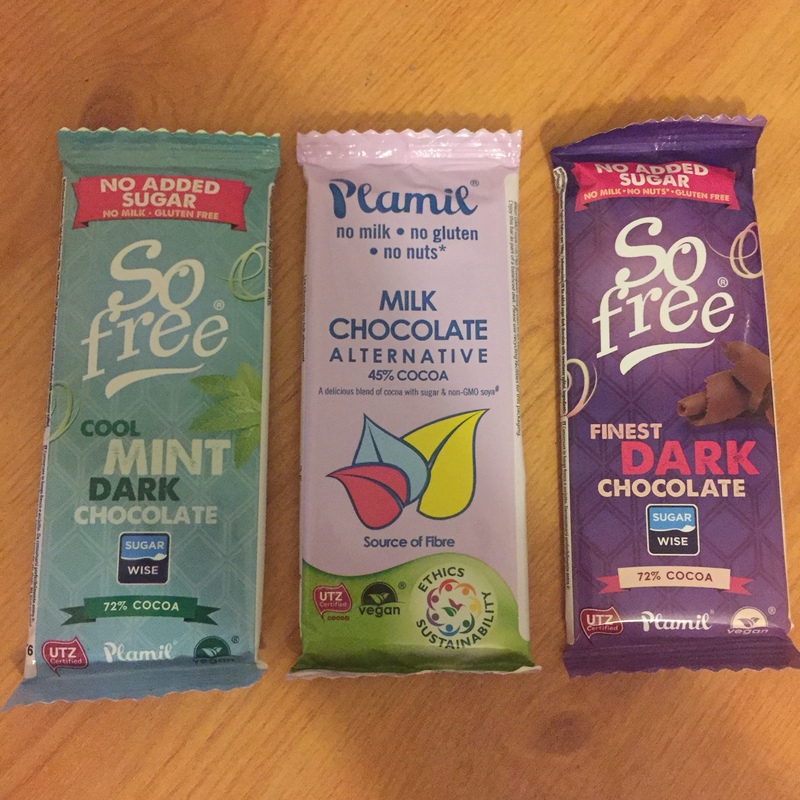 All of the chocolate Plamil makes is dairy free and gluten free and made in their own ‘no nuts’ factory. Their latest range which I was incredibly lucky to sample is completely vegan using 100% plant power! The range includes Certified organic and Fairtrade bars. I was also impressed to find out that they are all ethically made by Plamil with renewable energy. Go Plamil ! Now I could talk about chocolate until the cows come home (to a loving lifelong vegan sanctuary!) but I don’t imagine you’ve got all day so here are the highlights through the taste buds of me and my family. There are 11 varieties in the range and my absolute favourite was the Espresso Dark Chocolate. The smell was incredible from opening the packet and the taste simply sensational. I also really liked the Organic Perfectly Dark 72% Chocolate. It was creamy and delicate. If you don’t usually like dark chocolate then this one is for you. I have grown to appreciate orange flavour in chocolate as I’ve got older and the So Free Tropical Orange Organic Dark Chocolate is delicious. Plamil have been making organic chocolate for over 15 years and it’s great to see that several bars in this range are organic. There’s also Hemp Seed Dark Chocolate which tastes very earthy and Milk Chocolate which my kids loved. The White Chocolate was not too sweet like so many white chocolates. The Cool Mint Dark Chocolate smells sooooo minty when you open the packet. I preferred the taste of the Intense Mint Organic Dark Chocolate. Really rich and grown up. Perfect with a cuppa and a good book! 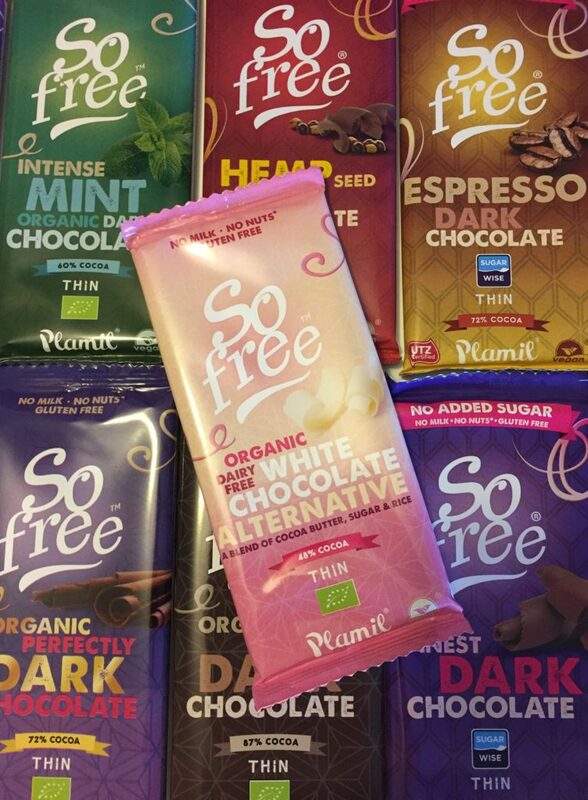 You can buy all of these delightful bars of wonderment either direct from the Plamil website or from places like Holland & Barrett and a range of online ethical superstores. 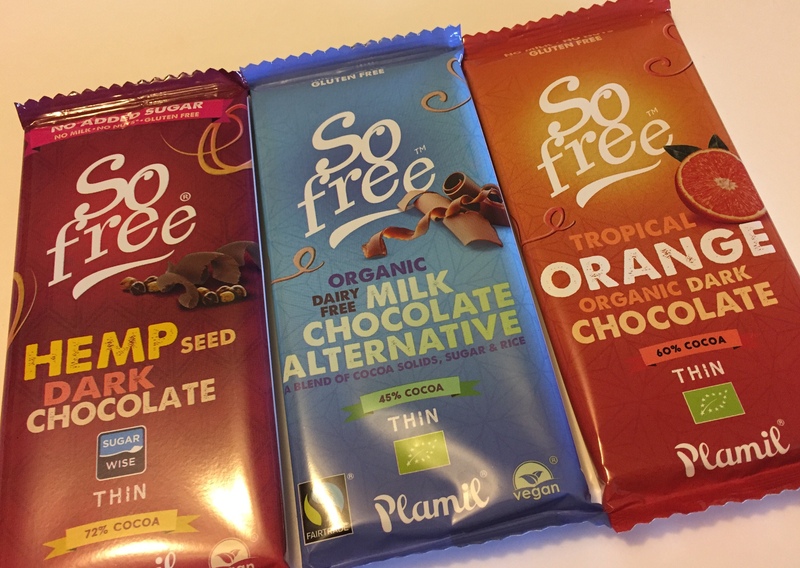 You can enjoy one of these three 35g bars of So Free Chocolate below simply by adding a comment below telling us which of the three bars you would most like to win. Our giveaway ends at midnight on July 31st 2018 when we’ll randomly select three winners. It’s open to anyone inside or outside the UK. One entry per person. We received complimentary products in return for this review but we must stress these opinions are absolutely 100% our own. Thanks again to Plamil. If you’re looking for more money saving and cash creating ideas – why not join the friendly Super Savvy Vegan Facebook group. I’m also on twitter and Instagram. Next post: Exeter’s Rabbit Cafe – discount for our followers! I never see vegan mint or white chocolate these days! It’s dark chocolate all the way for me! I have never tried a Plamil chocolate that I didn’t like! I love them all! Hmm, so much choice. Intrigued by the milk chocolate alternative. It’s close but I think the dark mint just wins over the dairy milk alternative. My fingers are crossed! My son has decided to make the transition from veggie to vegan. I’m already vegan so am obviously over the moon. He loves milk chocolate so I would like to win this one for him. If I’m lucky he’ll let me have some too. 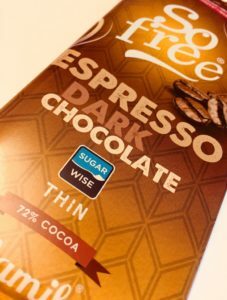 As a vegan newbie, I’m still finding my feet.. and searching for a tasty milk chocolate alternative! Help a sister out! I haven’t found any vegan choc I like yet ……. would be very excited with any of them but dark! Either dark chocolate for me, or milk chocolate for my youngest!! Mmmmm what a great review. The chocolate that I would love to win would be the Dark Espresso, the white chocolate and the mint🤤! Funny enough my partner and myself have tried the “so free orange” chocolate before, I did have to question whether I was in heaven or not!!! Thanks Jacqueline – surely there must be vegan mint choc chip ice cream somewhere?! I’m not a fan myself but Dan & Tasha are. I’d love to try the milk chocolate alternative. 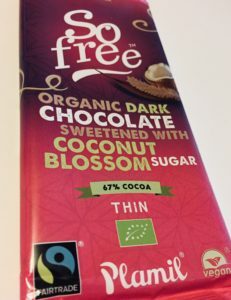 I’ve never found a vegan chocolate that I like, can’t believe I didn’t see these at Exeter Vegan Market yesterday, it was busy and I was shopping with small children! I would love the espresso, mint and orange ones. Thanks! All three sound delicious but the milk choc would be the one I opened first! Thanks Kayleigh – not long now until we choose the winners! Would love to try the cool mint flavour – I love love love mint! Oooh I’d love to try the espresso chocolate….my two great loves together!! I would love to win the Milk one, thats what I most miss. I’d love to try the mint, as I can’t remember the last time I had mint chocolate! I’d love to try the milk chocolate. It’s the one thing I miss. The Tropical orange bar is my pick! I came across Plamil for the first time 4 years ago while on vacation in Berlin. The Veganz grocery store stocked it. I got the chocolate orange sauce and it was amazing! Sadly you can’t find it in the US. Changing mine to the dark chocolate since the orange isn’t a choice. The cool mint dark chocolate for me please. Love minty goodness and since going vegan I have a new found appreciation for dark chocolate. I would choose the mint and dark chocolate I am really starting to appreciate dark chocolate. There’s some good ones out there Amber, enjoy trying them !! Milk chocolate! It’s so hard to come by vegan. As a newbie to vegan choc, the milk chocolate alternative would be great to try. Most definitely intrigued by the hemp seed chocolate! How you described the dark chocolate has already made my mouth water and we need more espresso choc!! I would love to win the milk chocolate as that’s the chocolate my kids love the most. I’m a lover of all chocolate so all of them sound amazing and I’m definitely going to be on the look out to buy them!! Fab. You sounds like me Lizzie! I would most like to try the hemp seed bar, the ‘milk chocolate and the espresso. Yummy!